Leopardskin Jasper is known for its healing energies and is of immense benefit for those experiencing chronic health conditions. Facilitating self-healing, Leopardskin Jasper is an important component of one's medicine bag, and is great for body layouts. 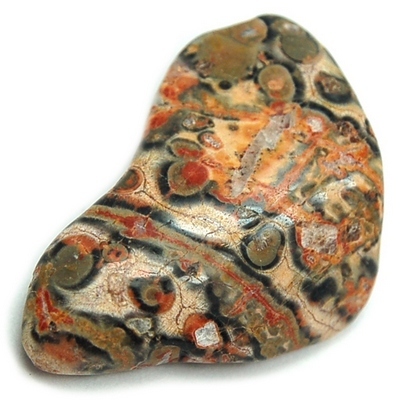 Click Here to see Leopardskin Jasper in our online catalog.